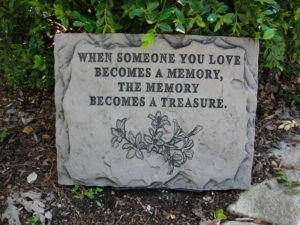 Sympathyplaques.com is a division of Roadrunner Lawn Ornaments Inc. We are a family owned business that has been making quality ornamental products and memorial items since 1983. All of our manufactured products are made at our facility in central Illinois. We are committed to providing quality products at prices that will benefit the customer, retailer, and distributor. 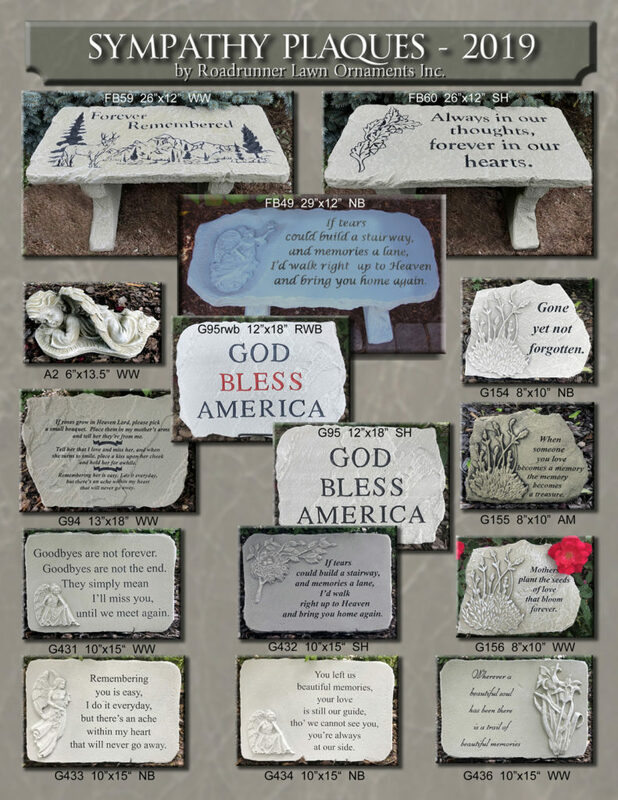 If you have a question about Sympathy Plaques.com, the products we offer, or the service we provide, please send us an email at admin@sympathyplaques.com or call us at (217-565-3277) Monday - Friday from 9am - 5pm CST. A factory representative will contact you with accurate answers in a timely fashion.